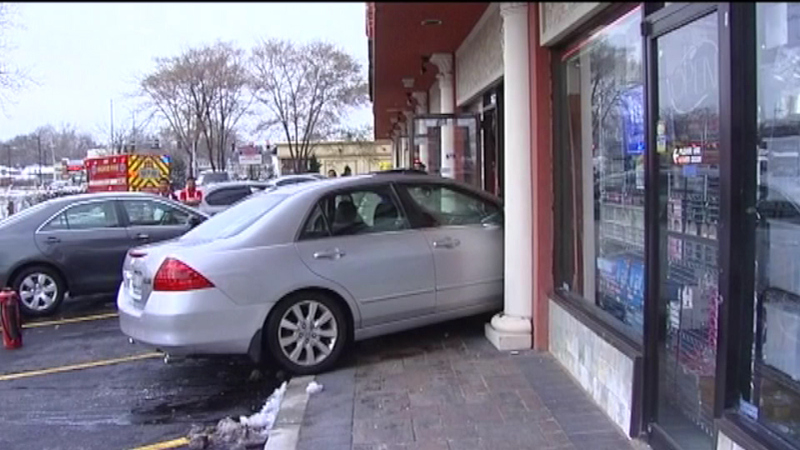 SKOKIE (WLS) -- Police are investigating what caused a car to crash Monday morning into a market and bakery in suburban Skokie. No one was injured when the car went through the plate glass window of the Pita Inn on Dempster Road. It is unclear what caused the drive to crash.